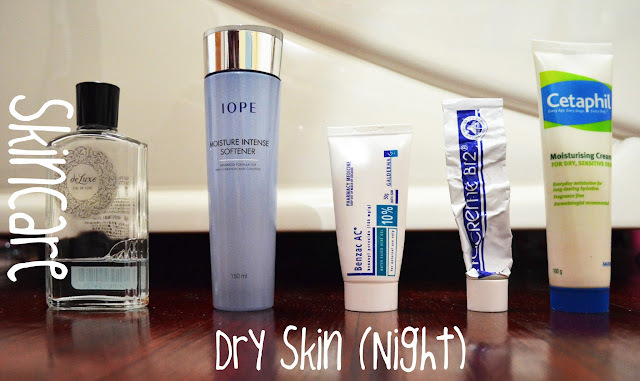 My skin went berserk recently and I still have no idea what caused it. It was the weirdest combination that seemed hard to treat. Usually it's actually quite resilient and rarely does it react to topical products so I'm guessing it was something else that triggered this rash. I usually use my witch hazel as a 'cleansing' astringent toner but I know it can be extremely dry and the alcohol can irritate my dry skin even more. So I decided to switch back to this Shiseido one which I stopped using because I didn't feel like it was 'cleaning' my skin as well. This is more of a skin freshener. It works great on aggravated skin, kind of reminds me of a floral water so it's very soothing. This is the one aimed for acne skin so I know it's also preventing further breakouts. This is one of the products which is exclusive to Asia I think. It's not really made by the main Shiseido brand but one of their side brands. This is my 2nd toner in my routine. I found that my moisturiser absorbs a lot better if I use this beforehand. 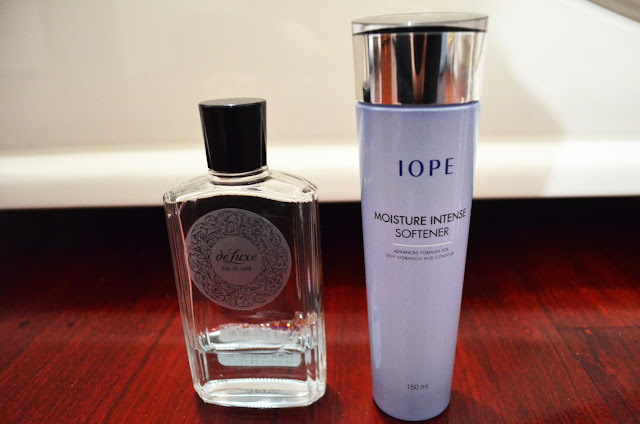 It does a great job at softening my skin and prepping it for later products. A much raved about product in Asia a few years back. Known for its skin renewal properties. Normally I use this in Summer as a light weight night cream but I did not feel it did that much. But then I had a bit of an epiphany. Recently at uni we were talking about using a thicker cream on top of topical medications to greatly enhance its effects. 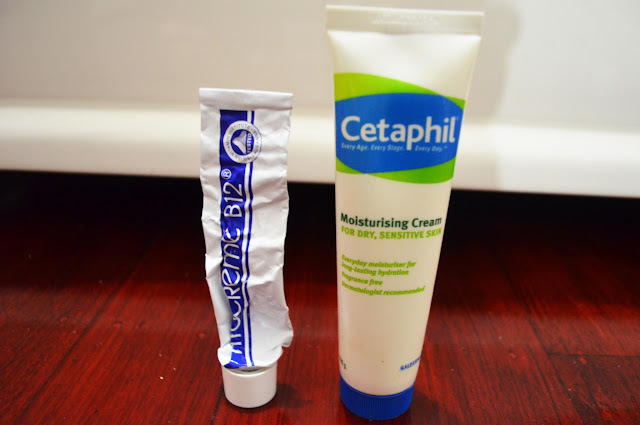 So that's what I did with the combination of this and the Cetaphil. This was my occlusive product. Meaning it's thick and prevents moisture loss from the skin. This has been a winter favourite for ages. The ingredients list is probably not as sensitive-skin friendly as it could be, considering is its target market. But I have found no problems with it so far. Definitely a night time only product unless you want to look like a ball of shine during the day. 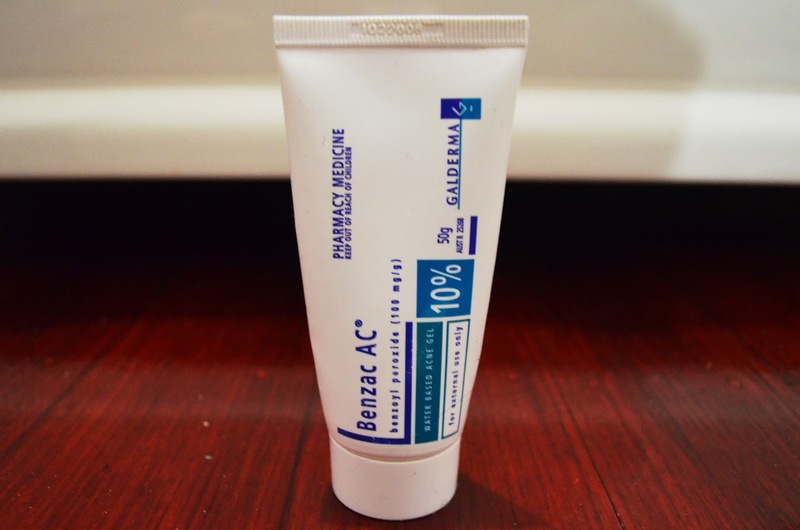 Benzoyl peroxide is my go-to product to treat my acne. But it is one of the worse products for dry skin. I had to use this to calm the breakout. Thank goodness the rest of my products did such a great job at keeping my skin moisturised, so the drying side effect was not prominent. The weird thing is that this "reaction" keeps coming back in cycles so it's there for a week then gone for a couple. I will probably continue using this night routine throughout winter to really keep my skin super moisturised. The Vitacreme B12 is just about finished (hence the misshaped tube) but I think I will go back to my normal night time routine soon because this one can feel quite heavy after a while.